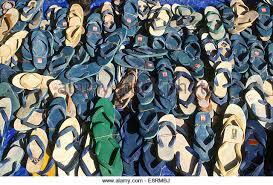 THIRUVANANTHAPURAM: The Trivandrum City Corporation has arranged a collection drive for old and damaged sandals and bags on July 29. The sandal and bag collection centres will be opened at Poojapura ground, Jagathy ground, Putharikandam, Vanchiyur court junction, Pippinmoodu junction, Kazhakootam ward committee office, Beach HI office and Vattiyoorkavu ward committee office. The counters will function from 8 am to 12 pm. The Corporation also plans to collect other objects like glass, e-waste etc soon.